All online media companies operating in the UAE without licences will be fined or shut down, according to new guidelines issued by the National Media Council (NMC) on Tuesday. The NMC on Tuesday issued a set of regulations which will govern online activities, including e-commerce, publishing and selling of print, video, and audio material as well as advertising. The new rules require news websites, electronic publishing outlets, and on-demand printing, including commercial activities conducted through social media within the UAE, to first get a med-ia licence from the NMC, allowing them to operate in the country. Under the new regulations, those using social media to promote brands and businesses for cash will also need to get a media licence issued by the NMC. However, the online firms operating without licences have been given three months to ensure their activities fully comply with the new regulations. "The regulations apply to all electronic media activities carried out within the UAE, including those in free zones," Dr Rashid Al Nuaimi, executive director of media affairs at the NMC, said during a Press conference on Tuesday. The new regulations, according to the NMC, seek to help the UAE media sector remain on top of the rapid developments in electronic media, in addition to enriching and organising digital content and ensuring that media material respects the religious, cultural and social values ? ?of the UAE, all the while promoting freedom of expression and constructive dialogue. The new code of practice provides balanced and responsible media content that respects the privacy of individuals and protects the public especially children from negative or harmful material. 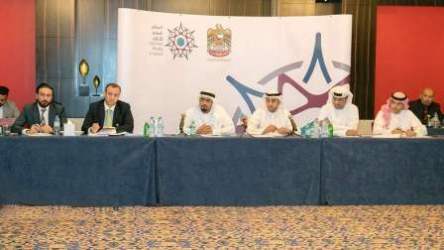 "The new regulations are part of the council's plan to promote and develop an advanced legislative and regulatory environment for the UAE media sector, keeping it up-to-speed with regards to all technological developments that have transformed media in recent times," said Mansour Ibrahim Al Mansouri, director general of the NMC. Al Mansouri added that electronic media has become a highly influential and widespread tool and that it is imperative that government enhances its reliability. "Digital media is one of the fastest-growing sectors in the Middle East, especially videos, games and e-books. Regulating this sector will attract new global investments, which, in turn, will improve its development and competitiveness," he added. "The new guidelines seek to enhance the contribution of electronic media to the wider publishing industry, providing legal protection for the outlets and enhancing their competitiveness, all in an effort to increase advertising spend and grow the sector as a whole." The new regulations adhere to the Terms of Reference of the National Media Council No. 11 of 2016, and align with the outcomes of the Future of Media Ret-reat, held by the NMC in February 2018. The NMC had earlier issued the age classification regulations for media content, which require relevant authorities to classify publications, electronic games, films and other artworks according to the appropriate age group, in order to preserve the UAE's social values and its cultural heritage, and protect its children from any negative influences. The websites of licensed traditional media such as newspapers, television, radio and magazines do not need to secure new licences. The websites of government, universities and schools are also exempted from the new rules. Each new wave of technological advances in the virtual world has created greater access to knowledge, information, and led to a parallel universe of information promoters, online companies that sometimes have used their 'social' power for undue influence. Bloggers, social media influencers, online content generators, writers are legion. Authorities in the UAE plan to regulate the social media. It is a good move, one that will lead to more transparency in the virtual world.